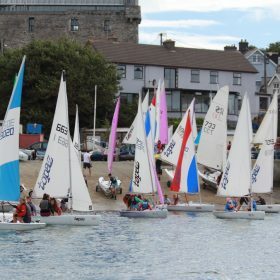 CH Marine Laser Munster Championships – 16 days and counting! With only 16 days to the start of the Laser Munsters it is great to see 63 entries and climbing. As expected there are a large number of Master entries in both the Radial and Standard rigs. The early entry discounted rate of €50 is available until March 23rd. The fee then reverts to the full cost of €75 until 9pm on Thursday 29th March. Online entry will then close. We hope to see some of our local Laser sailors competing at this event – online entry is available here. 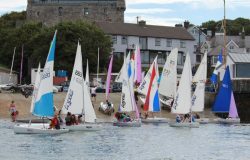 You must be a member of the Irish Laser Association to compete but if you join to race in this event your membership (€15 per year) will be carried over to 2018. The Notice of Race was published earlier this evening (attached below). Sailing Instructions will be available shortly. 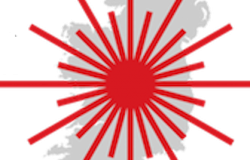 A current list of entries is available on the Irish Laser Association website here. Event Sponsor CH Marine will have a support van at the event with all the laser essentials on board. However, should you require a specific item it would be advisable to contact CH Marine in Skibbereen or Cork prior to the event and they will be happy to assist you. Given it is the first event of 2018 we are sure there are boats coming out of garages with some replacement gear needed!. 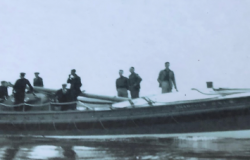 Don’t be disappointed – enter now and check your boat!.